I’m going to show you How To Make A Cheese Board for your next happy hour or party! 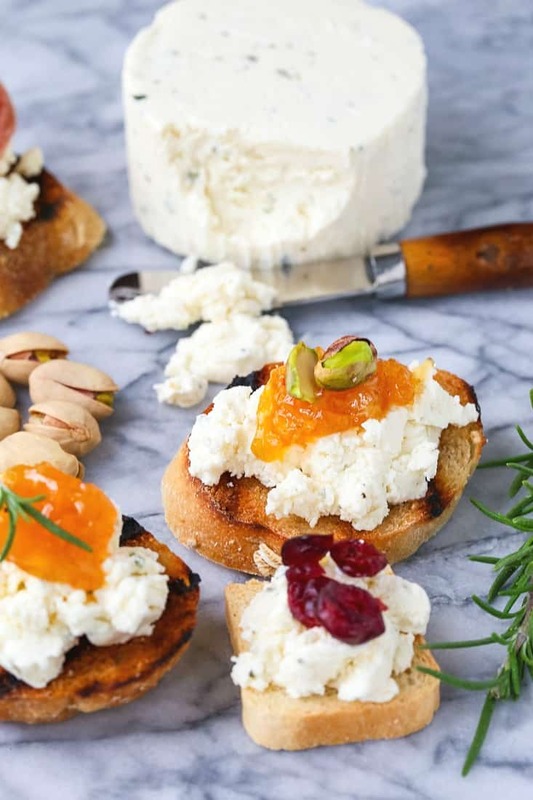 There’s a few simple tricks to making a cheese board look amazing! You’ve got your bite sized, delicious appetizers, fun cocktails and hopefully your fun friends. There’s not a ton of places to go to right around us since we live in a pretty rural area so a lot of the time we just have happy hour at a friends house. Sometimes everyone brings an appetizer, or someone ends up making more of a main course and it turns into more of a dinner hour! But more often, we sit around a cheese board or a charcuterie board (if you want to get fancy) and snack on that all night. I actually love doing that, just snacking on different meats and cheeses from a cheese board and making that a meal. 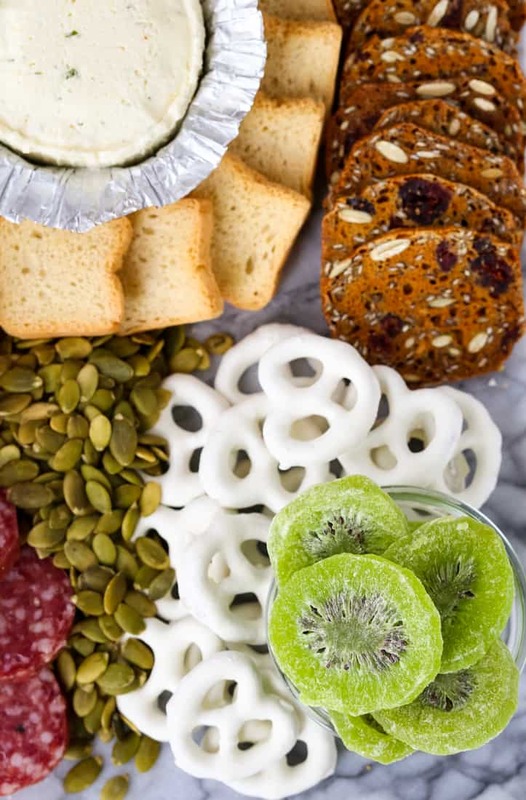 You can taste so many different flavor combinations that way, instead of just one or two cheeses and a couple of crackers. One of my favorite cheeses to use on a cheese board is Boursin’s® Garlic and Fine Herbs Cheese. 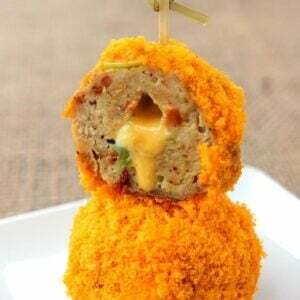 Because the rich and creamy flavor goes perfectly with so many different things it’s a slam dunk for a cheese centerpiece. Start with a centerpiece, something you want the focus to be on. 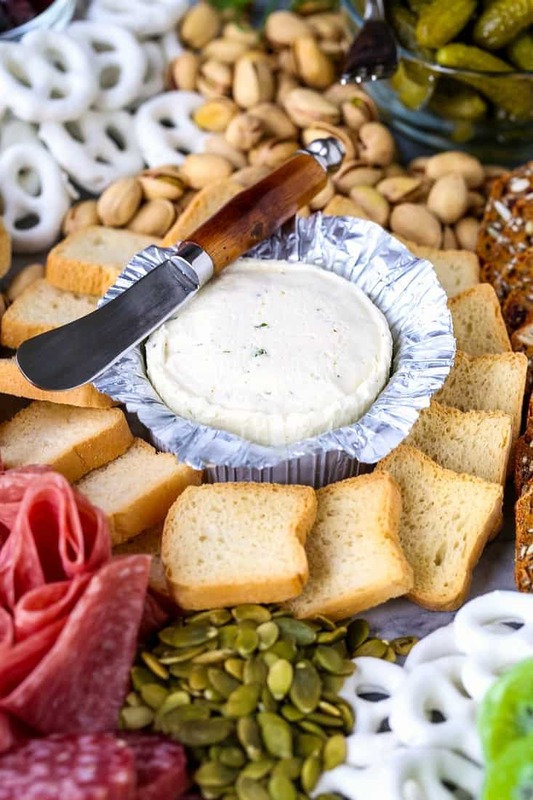 For this cheese board idea, it’s going to be Boursin® Cheese. 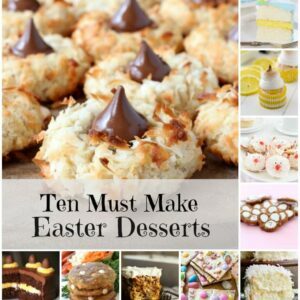 Then you can build on that by adding meats and crackers, even a few sweets! 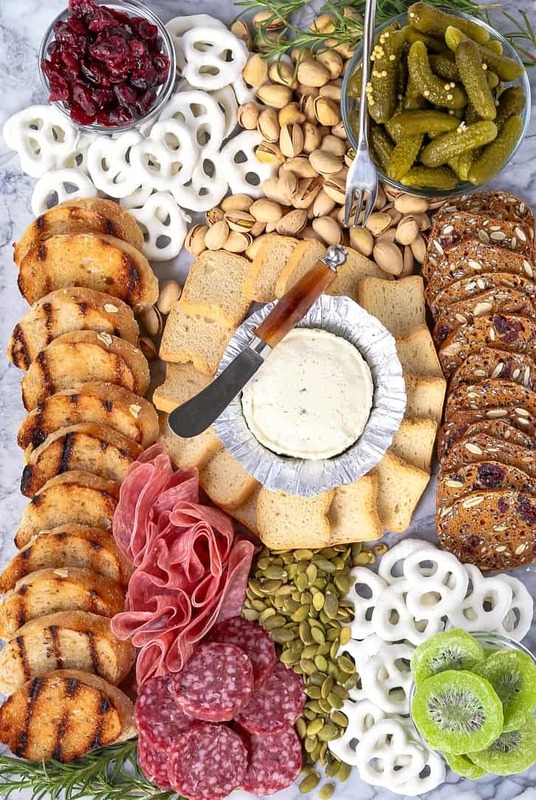 A cheese platter doesn’t have to have just cheese folks…we’re making a party here. 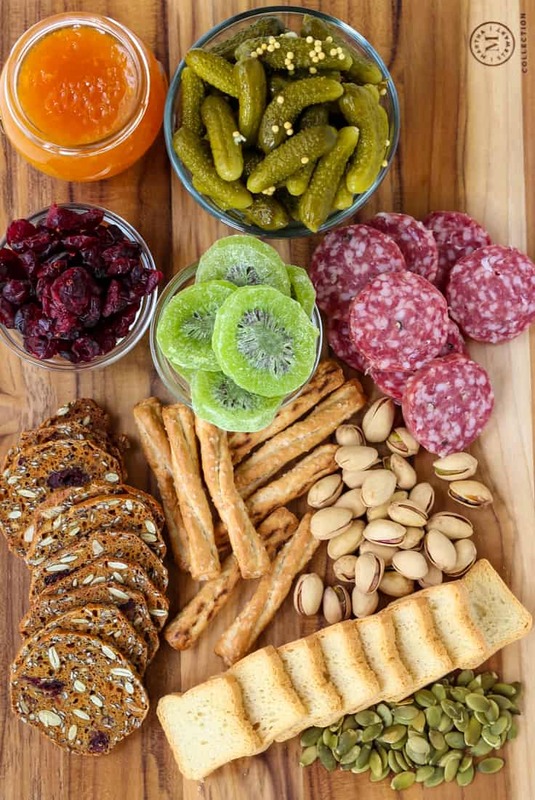 Charcuterie is a French word meaning a combination of meats, like salami or ham products, bacon or sausages served with an assortment of cheese and crackers. Then you can add some different pickled vegetables, jams, nuts or whatever you like to snack on! There really aren’t any rules but there are a few tips that I like to follow. The first thing I like to do is to gather a few ingredients on a cutting board to get them ready. Slice your meats and hard cheeses if your using them and get a few bowls for things like pickles or your dessert items. Next you can pick a marble or a slate board or another wooden board to start laying out your final cheese board. 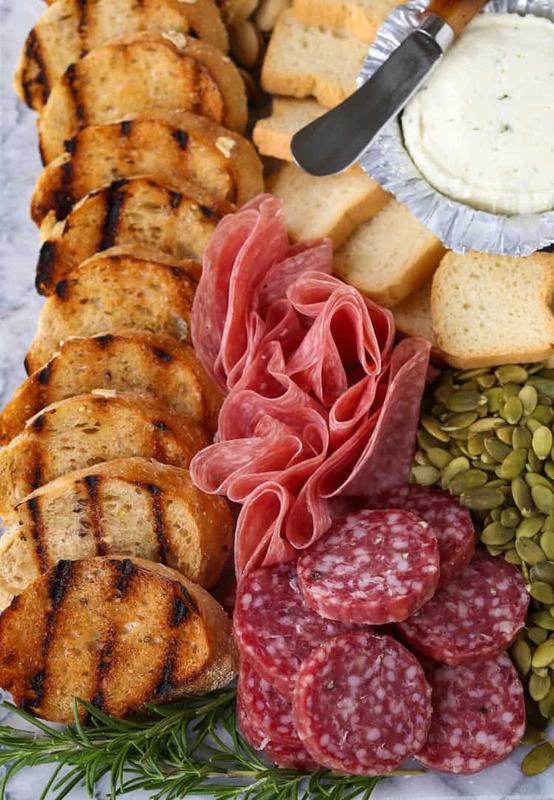 I like to add the featured item, in this case the Boursin® Garlic and Fine Herbs Cheese to the center or my marble board and build around that. Another pro tip here…I don’t want my chocolate pretzels tasting like salami. Or my crackers getting pickle juice on them…I like each item to taste the best it can be, and also be able to last for as long as the party does. So I either put ingredients with any juice like pickles in a bowl, or create a barrier between foods that might not mix together like I did with these pumpkin seeds here. You can keep the meats next to any cracker or crostini since those flavors aren’t going to compete with each other. Because meat and bread…it’s a match made in heaven. Now comes the fun part! 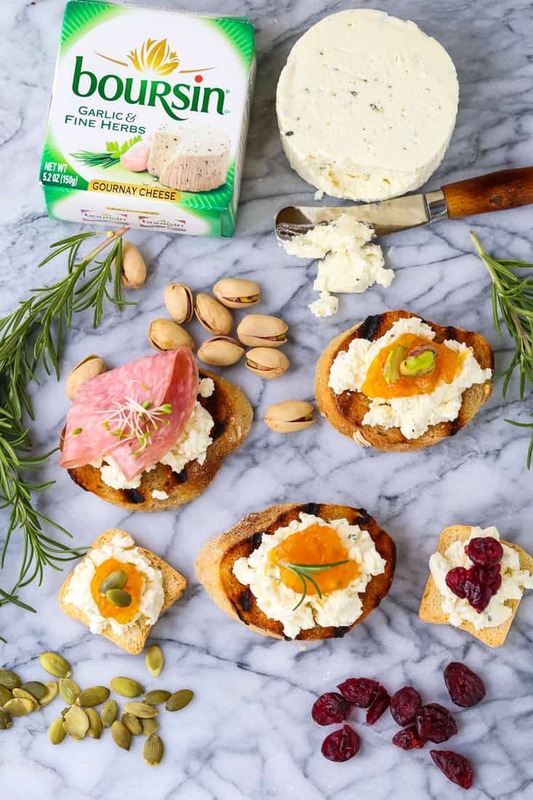 See how many flavor combinations you can make with all the meats, crackers and nuts on your cheese board paired with Boursin® Cheese. You can definitely turn this into a party game. Have a contest and see whose combo tastes and or looks the best. This is how you get the dudes involved, turn eating into a competition. 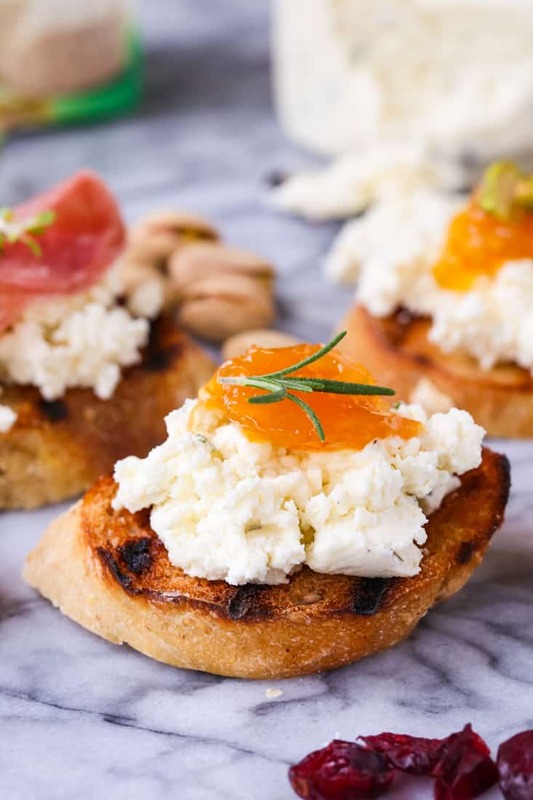 This was one of the favorites, Boursin® Garlic and Fine Herbs Cheese with a spoon of tangerine jam and rosemary for garnish. You can put a thin slice of salami on this crostini too, that will work very well with these flavors. You can also try this simple salami on top of Boursin® Cheese with a few sprouts for garnish. 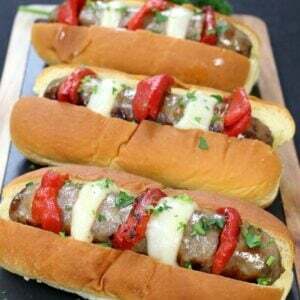 Easy, elegant and totally amazing flavor. 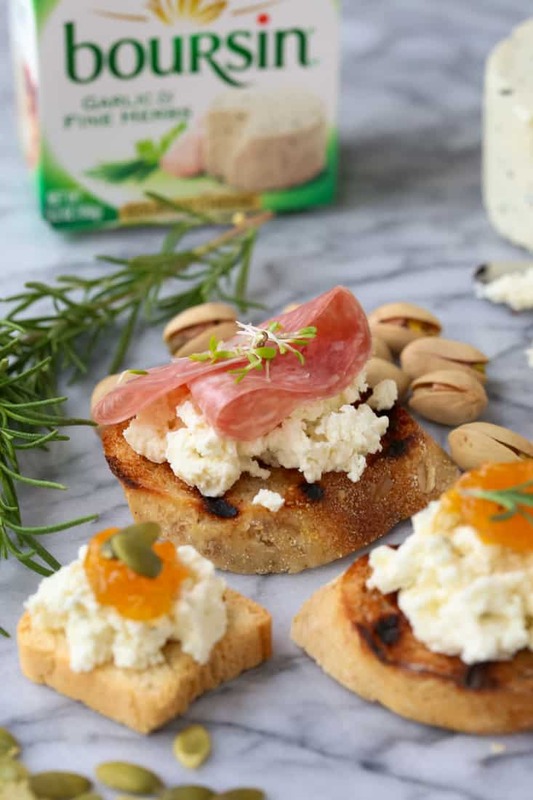 With a delicious cheese like Boursin® in this Garlic and Fine Herbs flavor your flavor combinations are endless! This post is sponsored by Martha Stewart Living and Boursin® Cheese.